The FOIA Council will next meet at 1:30 PM on Monday, August 14, 2017, in House Room 1 of the Capitol Building, Richmond, Virginia 23219. More information about meetings of the Council is available at http://foiacouncil.dls.virginia.gov/meetings.htm. The Proprietary Records and Trade Secrets Subcommittee will next meet at 10:00 AM on Tuesday, August 1, 2017, in House Room 2 of the Capitol Building. An agenda for that meeting is attached, and more information is available at http://foiacouncil.dls.virginia.gov/subcom_mtgs/2017/subcom17.htm. The Libertarian National Committee (LNC) is seeking applicants to serve on the Credentials Committee for the June 30–July 3, 2018, national convention in New Orleans, Louisiana. The LNC expects to make the appointments during its Aug. 19–20, 2017, meeting so as to give the committee plenty of time to do its work. The LNC appoints 5 of the 10 Credentials Committee members. The Credentials Committee members gather and verify delegate data in the months leading up to the national convention, and then are expected to work onsite throughout the national convention. Committee members will be expected to invest an appreciable amount of their time into doing their jobs. Any travel costs incurred will be at personal expense. If you are willing to serve in these LNC-appointed positions, apply by completing this webform no later than Aug. 10, 2017. Content not authorized by any candidate or candidate's committee. 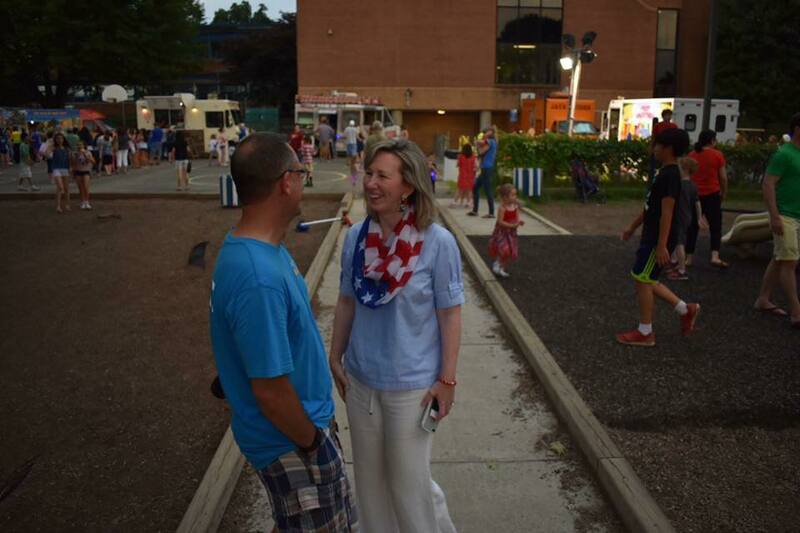 Our 4th of July celebrations are always a great time when we can celebrate our love of our country, as well as visit with our friends and neighbors across the 10th district. We had a great time this year, once again, celebrating in every corner of the district! All of the work that is put into these celebrations is always inspiring. Thank you to all those who organized all of the many special events and thank you to all those who came out to celebrate! And a special thank you to all of our military, law enforcement, and first responders who make us a safe and secure community and country. 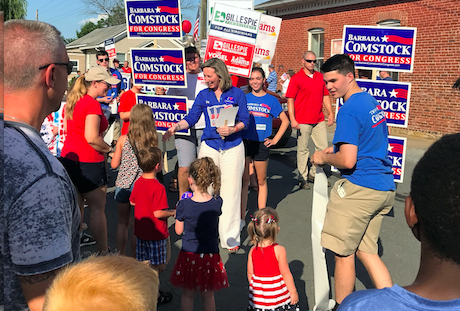 We kicked off the festivities in Lovettsville with the annual Lovettsville Independence Day Parade held the night before! We always enjoy catching up with Mayor Bob Zoldos and joining our local officials for what is always a big turnout. 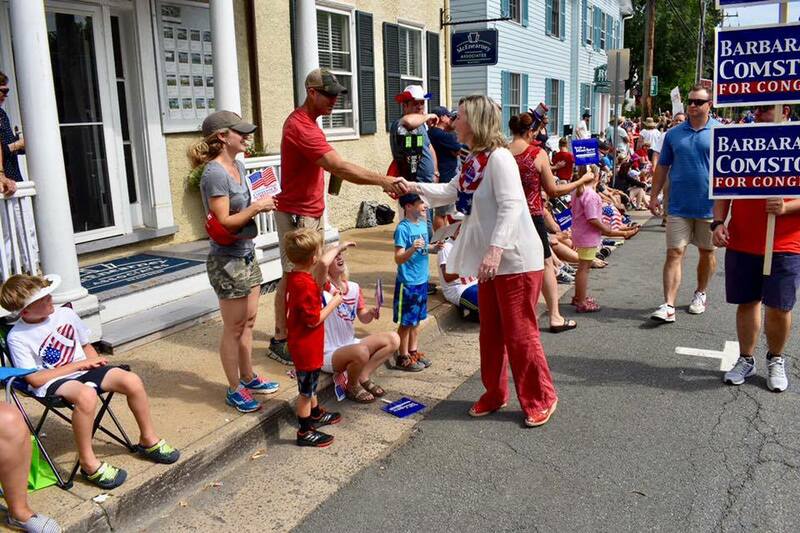 Great Falls 4th of July Festival and Parade includes a "Little Patriot" parade for kids on the green, a 5k run, a community parade and Fireworks at the Turner Farm. Celebrate Great Falls always puts on a great get-together for friends and neighbors and we were happy to be a sponsor for this year's fireworks. We made an early stop in Great Falls to greet our volunteers! 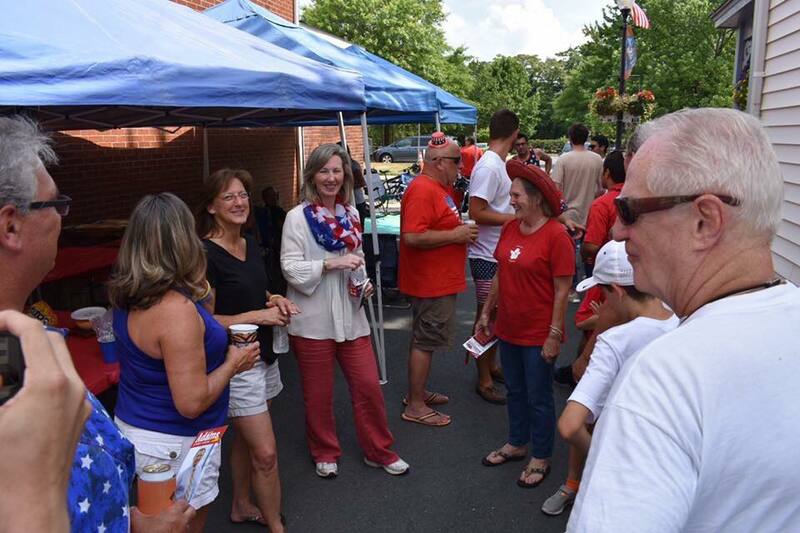 For the Leesburg 4th of July Parade, we joined many of our local officials – Sheriff Chapman, Delegates Tag Greason, Randy Minchew, and Dave LaRock, Supervisor Ron Meyer (along with his wife Celia and new baby, Lincoln at her first parade! 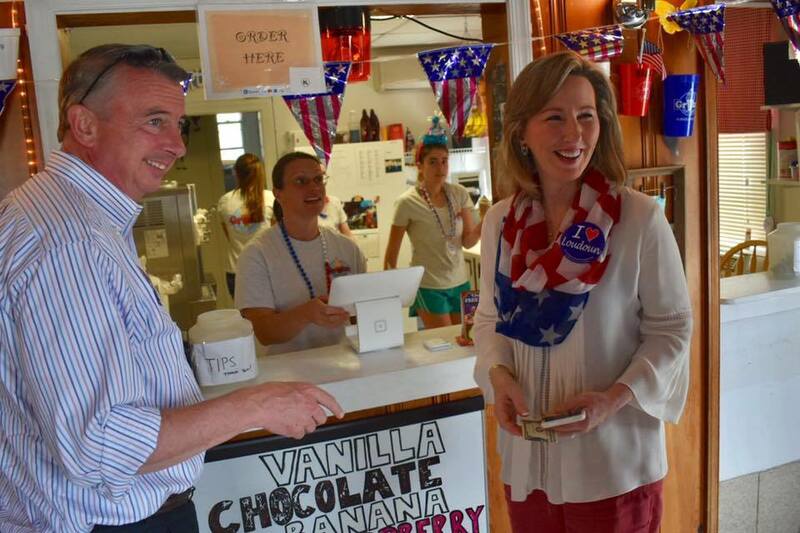 ), as well as candidate for Governor, Ed Gillespie and candidate for Attorney General, John Adams. The hot weather made for high demand for our hand fans and our “I Love Loudoun” stickers lined the parade route! 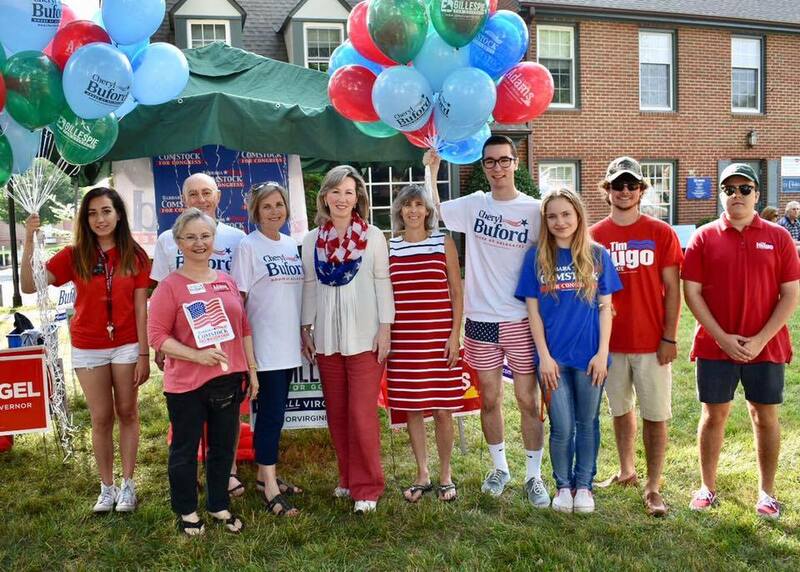 Thanks to the great crew who turned out for the festivities in Leesburg! 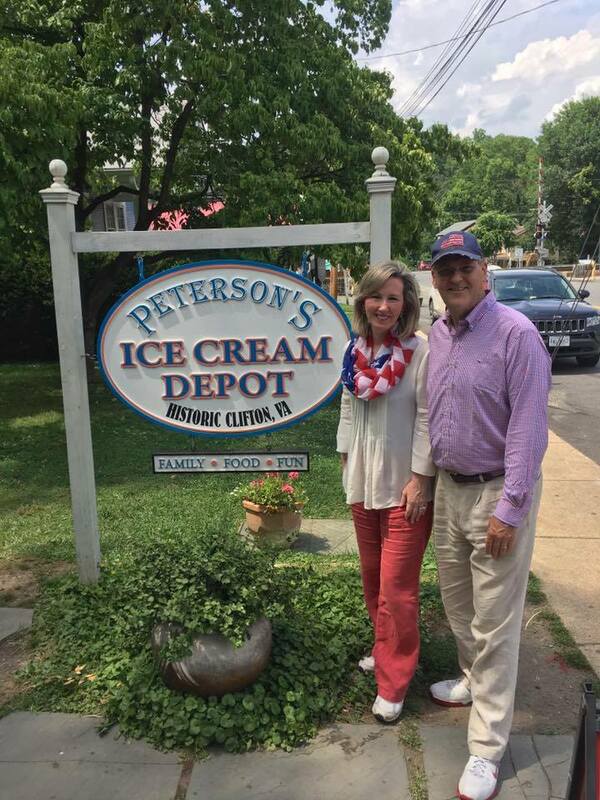 After the Leesburg parade, we headed to the Purcellville Parade but made a swing by Gruto's for ice cream with our next Governor, Ed Gillespie before the parade started! Marched in the Purcellville Parade! So much American Pride! Then we went to the Manassas Festival where everyone was fired up for the4th and the Manassas fireworks! 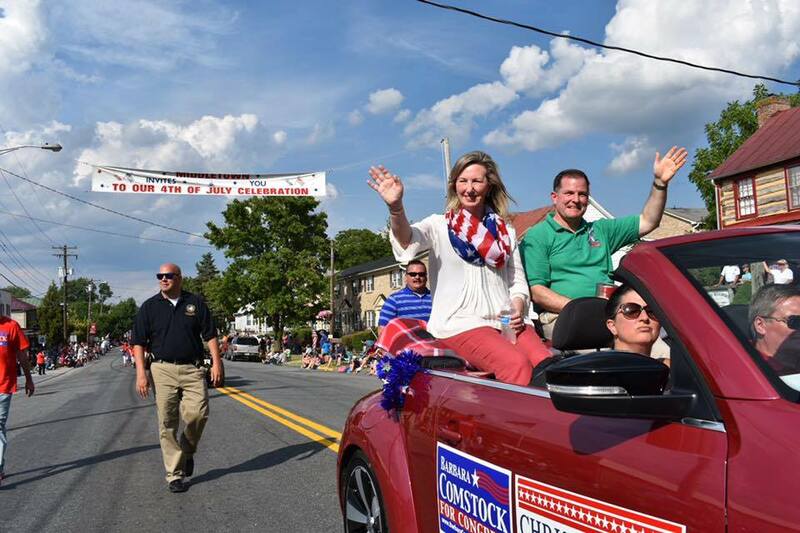 Our last parade of the day was the Middletown 4th of July Parade where we joined my friend and colleague, Delegate Chris Collins! Thanks to Mayor Charles Harbaugh for his hospitality. 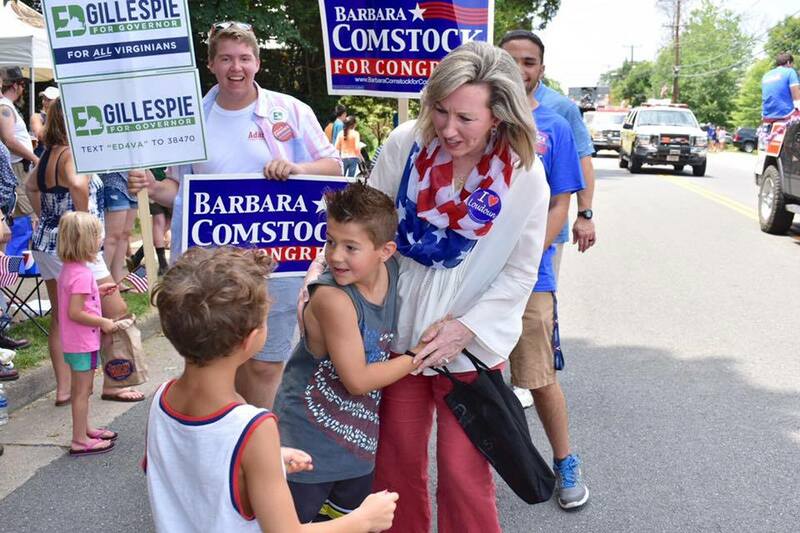 Our final stop for the day was back home in McLean where we visited with friends and neighbors before the McLean Fireworks!